This is not a particular surprise although this likely overstates the case. Human greed has sadly diminished the product in an attempt to serve everyone. Worse, certain aspects of the curriculum has been hijacked in the so called liberal arts in order to promote a watered down version of Marxist ideology which puts the happy recipient into an alternate reality while providing no successful solutions. We are now wearing the fruits of this endeavor inasmuch as we have a crop of politicians attempting to run things whose connection with reality and the people is ephemeral. I have warned that 2015.75 was the peak in government and the two many industries that government subsidies has created the decay within our American society reducing disposable income – healthcare and education. Degrees I have warned are really worthless. About 60% of graduates cannot find employment in the degree they have paid for. Both education and healthcare have become the greatest violation of consumer laws to date, and nobody does anything about it. Hospitals are growing trying to put out of business the private local general practitioner aided by the lawyers driving up legal claims enticing people to file suits as if this is a lottery or casino to get rich quick. 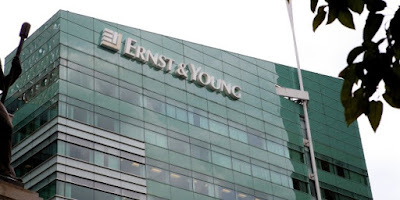 Ernst & Young has been one of the top graduate recruiters in the UK and USA. They have announced the firm will be removing the degree classification from its entry criteria, saying there is “no evidence” that success at university correlates with achievement in later life. The best education has ALWAYS been an apprenticeship – not some university course taught by someone who has never practiced what they teach. In ancient Rome, at between nine and twelve years of age, boys from affluent families would leave their basic education behind and take up study with a grammaticus, who was a teacher that refined his students’ writing and speaking skills. They would be versed in the art of poetic analysis and taught them Greek if they did not yet know it. They would be taught logic and how to think. By this point, lower class boys would already be working as apprentices. If someone wanted to be a sculptor, he would apply to be an apprentice at a sculptor shop. Girls, both rich and poor, would be focused on making themselves attractive brides and, subsequently, capable mothers. It was the women who often ran the household. We still have trade schools, which are regarded as less than a university. Yet, our education in university was supposed to follow the Roman model of apprentice for the lower class and higher education for the upper class. But somehow, the university moved beyond grammaticus and pretended to prepare someone for a skill, which the Roman system did not seek to accomplish – merely refine the character of the student. Even economics at its beginning under Adam Smith was regarded as part of moral philosophy. Economics was not taught as a subject by itself until 1901. Arthur Cecil Pigou (1877 – 1959) was an English economist who built the school of economics at the University of Cambridge. Pigou trained and influenced many Cambridge economic graduates who then taught economics around the world. His work covered various fields of economics but was especially teaching welfare economics for this was still moral philosophy. However, Pigou also included Business cycle theory, unemployment, public finance, index numbers, and measurement of national output. Worse still, education has been indeed hijacked by the left and they have been hard at work indoctrinating the youth. As Nigel Farage points out, thousands of youth and are in London protesting that Donald Trump will visit Britain calling him a fascist, which I serious doubt they even understand what fascism really is. Fascists generally believe that liberal democracy is obsolete, and they regard the complete mobilization of society under a totalitarian one-party state as necessary to prepare a nation for armed conflict and to respond effectively to economic difficulties. Ironically, these people claiming Trump is fascist are themselves fascists for they will not accept any democratic process and insist that only their point of view is valid and any disagreement should be outlawed. The Attorney General under Obama admitted she was looking into criminally prosecuting anyone who denied Global Warming. Even the United Nations banned anyone from disagreeing with their position on Global Warming, which is fascist behavior. So the real fascists are the one’s protesting and calling Trump a fascist. Very interesting to say the least. It simply may be far better to hire people who are not indoctrinated moving forward for there is no evidence that a degree indeed means one is more qualified for a position than not. Then you may be better off hiring people who have not been brainwashed by the extreme left teaching in schools. At the very least, it is time for some schools to promote normal education VOID of leftist indoctrination.